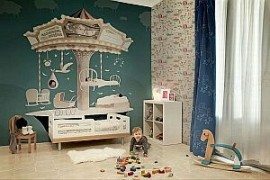 Do you feel that you child is growing at a quicker pace that his environment and that the furniture sets demand to be updated? Time flies a little bit fast especially when it comes to kids. So, it is a challenge to have furniture lasting longer than their clothes. It may not be plausible for many to replace furniture whenever your child attains new stages of growth, but it is better if the child’s room and settings are versatile enough to adapt to their growing age and needs. Make sure that it is fun, and imaginative. Go for modular and versatile furniture. Here are some suggestions that might help you. Versatility should never be underrated while choosing the style of your kid’s bedroom. Choose for bunk and loft beds ideally when your kids are younger, so that you can later convert the floor area to desk and chair area in the future. It is also optional for college students who can buy one piece of furniture and make it use flexibly for years to come. For example, there are convertible beds that are available in the market that can be altered to be used as nursery cribs into toddler beds, and then full size beds. This will be definitely a cost effective buy for your kid’s room. Colors do have a significant impact on a child’s behavior and rational growth. It is ideal that you change the color of your children’s room walls suiting with different periods of his/her growth. You can do this easily with a paint can and brush. 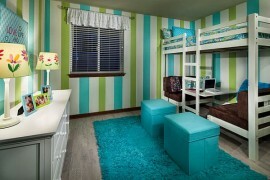 You can update the flashy colors with hip, teenage-friendly colors that match the likes of your teen’s tastes. A modern taupe, or green palette is a nice change if sky blue appears too youthful for your child and his friends. Flexibility with walls is that you can easily change the mood of the room, and decor as you both desire. Make your child’s room visually rich with apt bed arrangement, window treatments, and area rugs. The places elders use for keeping toy bins and activity table are now conquered mercilessly by laptops, Xbox and iPod docking stations. Rather than complaining, try to accommodate with the vigorous changes in the interests and hobbies of your child positively. Provide them with chances to try out their artistic sensibilities – for example by providing hanging wire systems to hang school art work, playful bulletin boards, and creative organization wall structures for playful organization. Assist your child to creatively organize their school and art supplies. Give preference to their choice of appearance and colors to form the décor as their outlook changes. 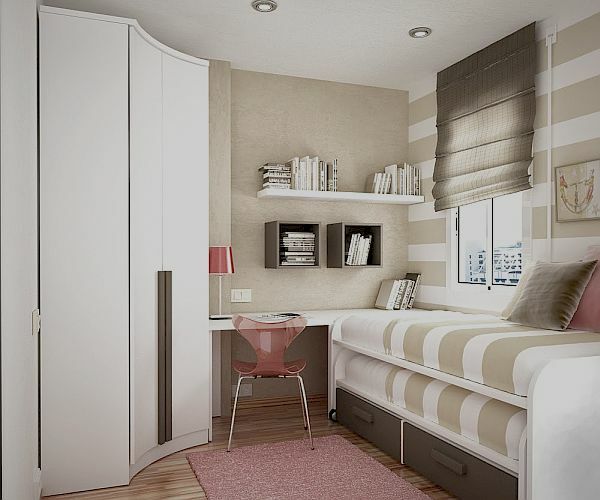 Modular furniture is a very cost-effective way of backing you child’s furniture needs. Instead of wasting you money on the entire suite of nursery furniture, which obviously needs to be sold out later – go for flexible forms! Modular furniture will let you keep a few key pieces, and replace others as per requirement of the child. This also procure you with the freedom of choosing mix and match colors and styles to update your room’s atmosphere regularly. This saves your money and resources. With lots of options available, we think altering your kid’s room has become easier. Do extensive research around the home furniture manufacturers near you for ideas and inspirations. Collect brochures and compare prices from brochures and select one that matches your lifestyle. You can also repurpose the stuff from other rooms of the home by painting it to match your child’s taste. If you have some different ideas, mind sharing them with us?